21-yr-old Stan Musial at Sportsman’s Park, Friday, April 10, 1942. Stan and the Cardinals were working out at the stadium, as they had just arrived north for a weekend City Series with the Browns; the teams split 2 games, with Musial going 4-5 with 4 RBI, in preparation for the season opener April 14. 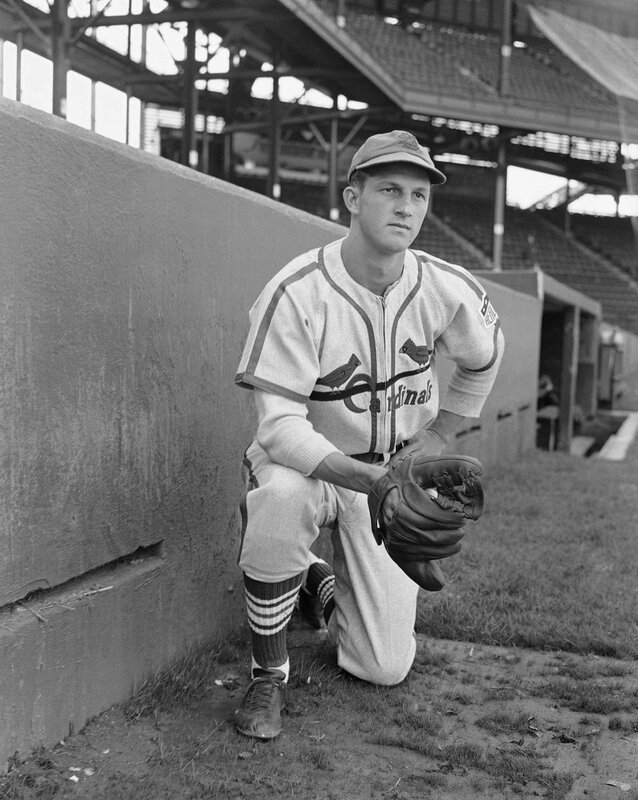 Musial, in his first full season, would hit .315 as the Cardinals were 1942 World Champs. And Stan had plenty of thrills to come. Musial just missed the Triple Crown in 1948. He smashed 39 “Ballantine Blasts” just missing Mize and Kiner with 40. And I remember reading that Stan lost one homer in a rain out. I think all stats should count, even though a game is washed away before becoming official.